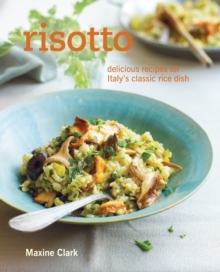 Different regions of Italy have their own classic rice dishes, from the soupy Rice and Peas of the Veneto to the Hunter's-style Rabbit Risotto of Umbria and Tuscany, but what they all have in common is the careful cooking of the rice to perfection. For a simple but comforting dinner, there are plenty of dishes packed full of warming cheese and butter, such as Saffron Risotto, Wild Mushroom Risotto or Artichoke and Pecorino Risotto. Lighter fish and shellfish dishes include the dramatic Black Risotto, flavoured with squid ink, Seafood Risotto or Crab and Chilli Risotto. There are also many tempting meaty options, from hearty family meals to dinner party dishes. Children and adults alike will enjoy Ham and Leek Risotto, while you can impress guests with Pheasant and Red Wine Risotto. 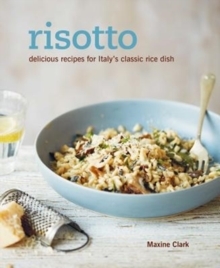 There are also a few ideas for using up leftover risotto (or for when you simply want to ring the changes), such as Arancini or Rice Croquettes with Tomato Sauce, as well as some surprising sweet delights such as Cherry and Almond Risotto Puddings or Risotto Ice Cream.